The committee substitute for House Bill 1 — the Senate’s $176.5 billion budget plan. Legislators must move this bill; otherwise, they will be debating the state’s budget in a special session. If that happens, health care will not be funded nearly as generously. Watch this video from TMA Council on Legislation Chair Dan McCoy, MD, to learn more. Senate Bill 1661 Sen. Robert Duncan (R-Lubbock). It would provide solid protections for clinical autonomy and independent medical judgment for the thousands of physicians already employed by nonprofit health care corporations (501[a] corporations) established by hospitals across the state. The bill gives to the physician board of directors of these 501(a)’s the responsibility for all policies related to clinical care. Plus it strengthens the role of the Texas Medical Board in supervising the activities of these nonprofit corporations. The bill will be sponsored in the House by Rep. Todd Hunter (R-Corpus Christi). HB 1534 by Rep. Craig Eiland (D-Galveston).The bill seeks to balance access to preferred provider organization (PPO) networks while making their actions transparent when using a physician’s discounted payment rates. TMA and the Texas Hospital Association, Texas Association of Health Plans, and American Association of Preferred Provider Organizations have worked since early this year on compromise language. The bill recently was voted out of the House Insurance Committee. Now it needs a push by Calendar Committee members to set it for the House calendar as soon as possible. The Senate approved SB 1811 by Senator Duncan on Friday. The legislation makes $4.3 billion in “nontax revenue” available for the state’s 2012-13 budget. The money comes from the sale of state property and speeding up tax collections. The Senate’s budget bill needs these funds plus $3 billion from the Rainy Day Fund to balance. It calls for spending $12 billion more than the House version. Sen. Steve Ogden (R-Bryan), the chief budget writer for the Senate, still is trying to round up the 21 votes needed to bring the budget up for debate on the senator floor. Stay tuned. Health insurance reform: The Senate State Affairs Committee will take up HB 438 by Rep. Senfronia Thompson (D-Houston) and SB 262 by Sen. John Carona (R-Dallas) today. The measure would require health plans to cover orally administered anticancer medications at the same level as they cover other medical or surgical expenses. Debra Patt, MD, an Austin oncologist, testified on behalf of TMA in support of the bill. The committee also will take up HB 1405 by Rep. John Smithee (R-Amarillo), which TMA supports. It would require plans that utilize a formulary to continue prescription benefits until the next renewal period if the formulary changes in the middle of the plan year. More importantly, HB 1405 would allow patients with individual coverage the same appeal rights as patients with small- or large-group health coverage. This means that a refusal or denial of a prescription drug by the health plan or pharmacy benefit manager would be considered an adverse determination and subject to an independent review if the physician has determined the drug is medically necessary. HB 1816 by Rep. Charlie Howard (R-Sugarland). It would require all first-time students at public and private or independent colleges to receive a bacterial meningitis vaccination. Its companion legislation, CSSB 1107 by Sen. Wendy Davis (R-Fort Worth), was passed by the Senate last Friday. HB 123 by Rep. Marc Veasey (D-Fort Worth). 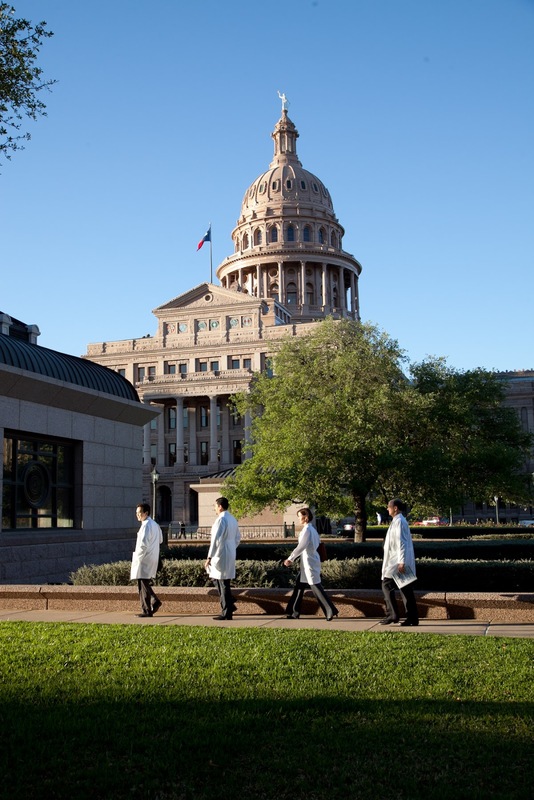 The legislation would create a program to educate Texas adults on the importance of proper diet, nutrition, and physical activity in the prevention and management of diabetes in counties with populations of more than 100,000. CSHB 1 by Senator Ogden. The Senate version of the budget will be considered if the senator can identify 21 colleagues to get suspension on the bill. SB 546 by Sen. Robert Deuell, MD (R-Greenville). It permits a physician to dispense and charge a patient for certain drugs. It also repeals the law prohibiting physicians from operating retail pharmacies. SB 1581 by Senator Ogden. It gives any institution that receives an appropriation from the state budget bill, including medical schools, the flexibility to reduce or recover expenses. SB 1206 by Senator Deuell relating to licensure of a freestanding emergency department (ED). The legislation clarifies the services that can be provided in these EDs.